An important issue in our world today relates to religious identity and belonging. The boundaries or categories that perhaps used to be fixed and inflexible are now more porous and yielding. For some there are even multiple religious loyalties. What at one time was easily understandable is now much more complex. I have friends, as do many of you, that have left a faith that at one time they were very devoted to, or joined another. 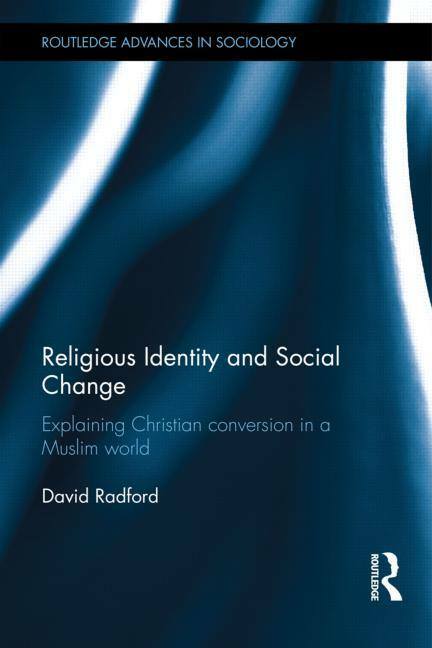 How those shifting belongings relate to social change is a fascinating topic, and my close friend and colleague of many years in South and Central Asia, Dr. David Radford, has addressed it in a book that has just been published, Religious Identity and Social Change. His work focuses on the dynamics of social change in Central Asia and is based in part on the conversion stories of Muslims who are now following Jesus. What their stories mean for issues of religious identity, familial belonging, and societal cohesion are just some of the issues addressed. What does your own religious (or not) belonging mean to you in the context of your place in your family and society? How easy or difficult is it for you when you begin to find yourself questioning categories you have held throughout your life and faith experience? What do you do as a result? These questions and issues are important not only for the future of faith in Central Asia, but for many other regions of the world, including the West. I hope to address more issues related to religious identity and social change in this blog in the future.